RoofSeal is the best solutions for leak repair or corrosion protection in tough environments and conditions, including land-fill and pond liners. Copy of Eternabond instructional movies on CD. Recommended for Do-it-Yourselfers and experienced roofers. Has five great how-to movies and lots of useful tips and techniques. Price/CD. 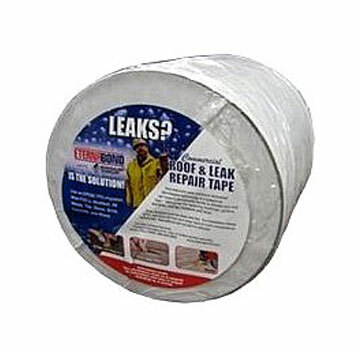 EternaBond RoofSeal WHITE Waterproofing & Roof Repair Tape, 4 in. x 20 foot Roll. Price/Roll.